Learn how to create with glass in this introductory class. 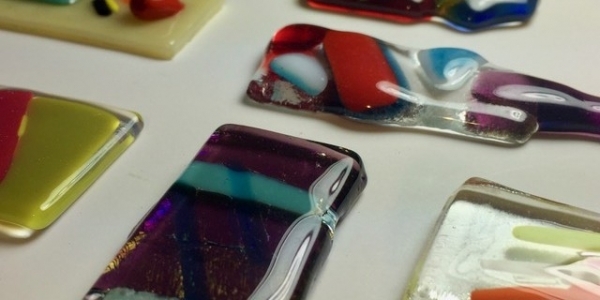 Learn how to design, cut, and complete small glass projects in this introductory class. Students will be taught a variety of basic techniques in both cold glass (stained) and hot glass (fusing, casting, slumping, lamp work). Participants who already have basic skills are invited to explore new ways to hone their technique. Younger students may contact the instructor to inquire about admission to the class.